In a county with more than 400,000 residents like Genesee County, it makes sense that there would be multiple service providers in many of the service industries. Electricians are no exception. We recognize that we aren’t the only electrician serving Flint, Flushing, and Grand Blanc. There are others in the area that you could choose to call, including the well-known national chain electricians and other independently owned and operated electricians. But here’s why Electrician Express should be your first call when you need emergency electrical repairs in Genesee County, or any other electrical work done at your home or business. When you work with a small business that is family owned and operated like Electrician Express, you are supporting members of your community, as well as the local economy. We care about our community and our customers, and we work hard to make sure every customer is completely satisfied with our work. Some electricians specialize in new construction, and others specialize in electrical repairs. At Electrician Express, with our years of experience, we have seen it all. If you are undertaking a new construction project, whether it’s a home or business, we can take care of all of your electrical needs, making sure they meet all of the local code requirements. If you are in need of electrical repairs for your home or business in Flint, Flushing, Grand Blanc, or any of the other cities in Genesee County, we can help with those too. We are very skilled in working with older electrical systems, and we consider ourselves “troubleshooting experts”. We can often diagnose your electrical problem very quickly and then get right to work making the repairs. 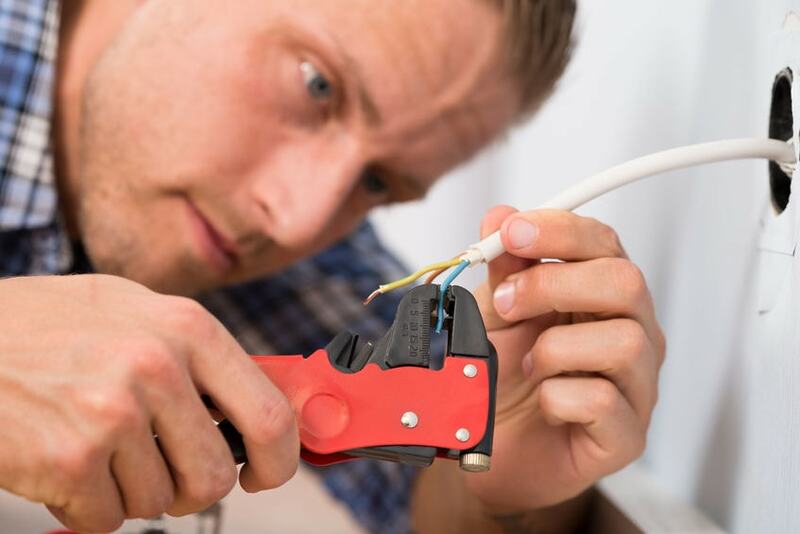 Becoming experts at troubleshooting complex electrical problems only happens as a result of working in the field for many years, which is why it is usually in your best interest to hire an experienced electrician, like those at Electrician Express. Every electrician has a different pricing structure. Some charge an hourly rate, while others charge a base rate, or minimum service fee, and then add on the cost of any materials and labor above and beyond that fee. At Electrician Express, we charge by the project, and let you know what everything will cost and what’s included in that price before we begin working. There are no surprises on your final bill (like travel charges, for example). Don’t be misled by electricians charging very low hourly rates. It may seem like the better option to go with this type of electrician, especially for a smaller job, but often they will charge you for the time it takes them to go buy the parts needed for your repair or installation. The electricians at Electrician Express come to you with a fully-stocked truck of electrical parts and tools. We can typically get right to work on your project. We work efficiently and get the job done in a timely manner. No matter what type of electrical work you need done in your home or business, Electrician Express can take care of it for you. We are available 24 hours a day, 7 days a week for emergency repairs. Contact us by phone or through our website. "The technician was very courteous and fixed the problem even though the previously tech from another company couldn’t seem to fix what was wrong."